Expect 4-6 weeks for production of this piece. 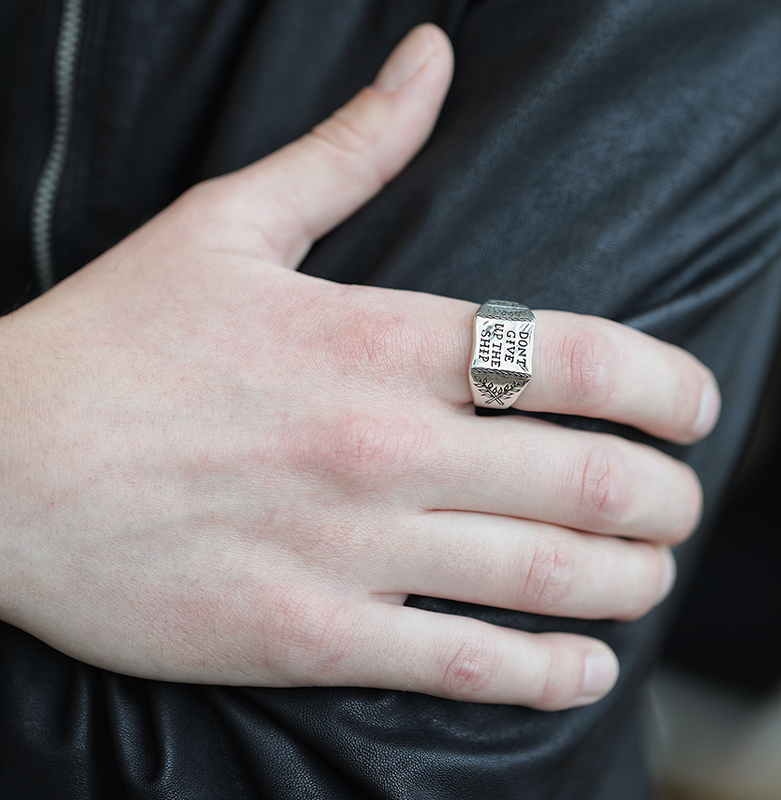 This ring cannot be exchanged but if needed can be resized for a fee. Contact us for a quote in gold or to request a rush. 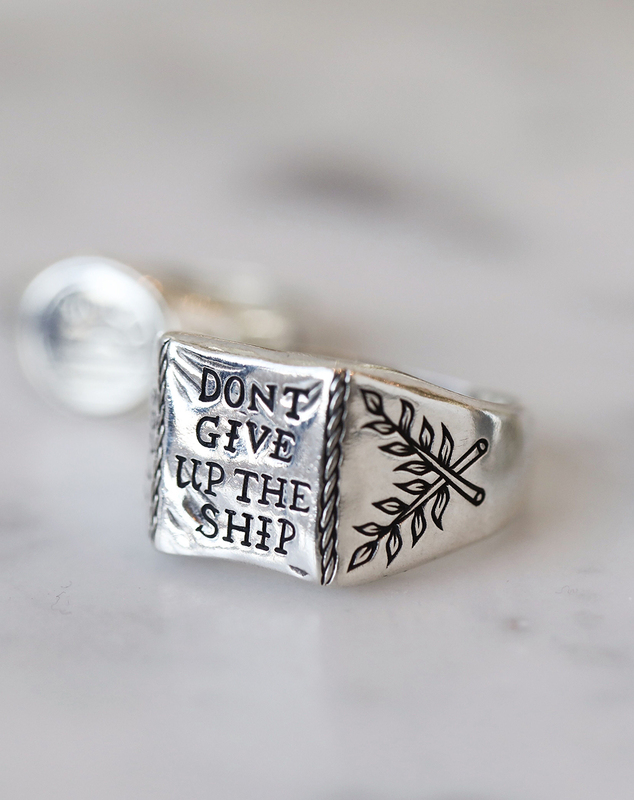 Dont Give Up The Ship ring pays homage to the immortal words emblazoned on the battle flag of Captain Oliver Hazard Perry aboard the USS Niagara in 1813.